Direct Offroad offers a shock solution for the Chevy Kodiak/ GMC Top Kick C4500/C5500 2WD & 4WD Chassis. Finally you can get a quality shock for your rig that works. Great for that Daily Driver, Hauler, Work Truck and RV with the C4500/C5500 Kodiak/Top Kick Chassis. Improve the rough ride on your C4500/C5500 Kodiak/Top Kick with this shock upgrade. Now you can drive with comfort without getting tossed around the cab when going thru an approach. Being a C4500 Chevy Kodiak 4x4 owner we recognized the issues with the ride quality of these trucks. We focused on getting the largest shock that would not only fit the truck but would handle the road and terrain. A great shock solution for the work truck and RV owner no matter what you were hauling or terrain you are driving. 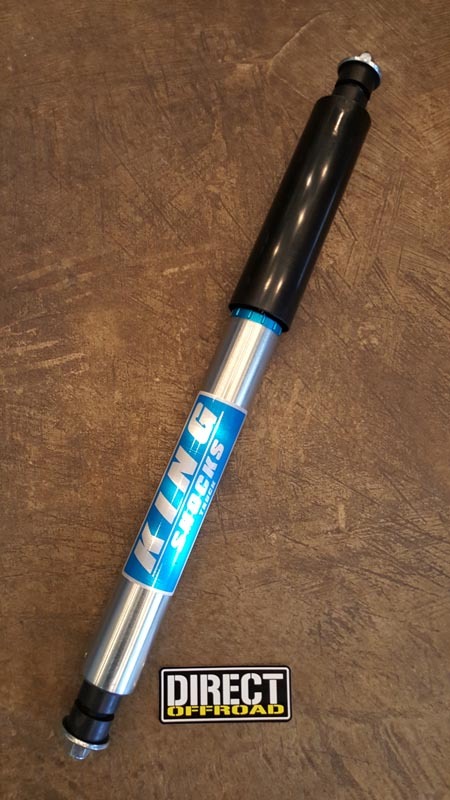 These massive 2.5" shocks will greatly help improve your ride quality and handling. We have tuned and specifically valved these shocks so you will not have to worry about getting a generic shock for your rig. "The C4500 is a beast of a truck... put the Right Shocks on it!" If you have any questions or fitment concerns. Please Call us before ordering.